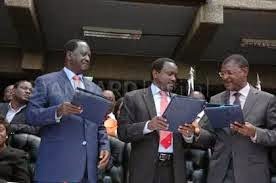 Cord Coalition’s call for National referendum has received a boost after NARC Kenya Party Leader Martha Karua on Friday supported the call for national dialogue by the Coalition for Reforms and Democracy (CORD). Karua who performed dismally in the last general election has been missing in action until last week when she made a public appearance and told Kenyans that the Constitution allowed for citizen participation in governance and given the security challenges the country is facing, it was imperative for all parties to work together. 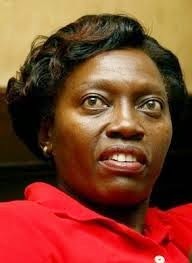 Sources say Karua is planning to make a political comeback through the referendum campaigns. What is not clear is whether she is planning to have Narc-K join the cord Coalition. During the campaigns in the last general elections, there were rumors that Raila was planning to her as running mate. Nark is not a member of any coalition at the moment. 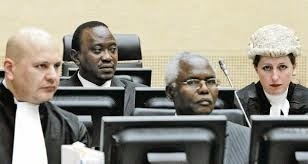 During the campaigns, she was one of the few politicians who came out to publicly to declare that Uhuru and Ruto could not run for the presidency until they are cleared by ICC. This however did not go down well with voters from Central province who were seen to be supporting Uhuru. She was a staunch Kibaki supporter but fell out and resigned from the powerful position of Justice Minister. Jubilee leaders must now go back to the drawing board to see how to counter the growing support referendum calls is gaining. Back to Karua’s comeback, "Our nation is under threat and something needs to happen. The buck stops with the President, he has the responsibility to facilitate Kenyans to unite and to reason together on the way forward. And that can only happen if a forum for discussion is created. So for those who say discussion has to be institutional, parties are institutions," she said. She went on to disagree with those who blamed the Saba Saba CORD rallies for heightened political and ethnic animosity in the country. "Rallies alone cannot be a cause of tension. Both the President and his Deputy were together with the CORD leader Honourable Raila in Orange. That time we were Banana. After the Constitution, what they did was to go round doing rallies. Rallies are not a problem and you cannot ever ban people from meeting. We are also entitled to criticise, even severely," she said. The issues she said NARC Kenya wanted addressed in a national forum are the involvement of county governments in security, the implementation of the Truth, Justice and Reconciliation Commission report and a review of the security agencies. "Remember the TJRC report had timelines. It has been swept under the carpet and we are really worried because everywhere there's a scuffle, something about land will be said. If we do not address historical injustices, our national cohesion continues to be undermined and the threats escalated," she said.